Very Pretty...not so good to eat tho. You can see the lack of bulb growth on our 'should have been huge by now' red onions. These have been in the ground for 7 months and because they decided to bolt, should have been pulled the minute they started producing flowers. They would have been at least slightly edible. I believe I mentioned that this was only the second time I had tried growing onions and there were plenty of mistakes to be made. Tho I'm not actually the cause of the flowering..
...that can be blamed on the weather. only the outer few layers are edible. 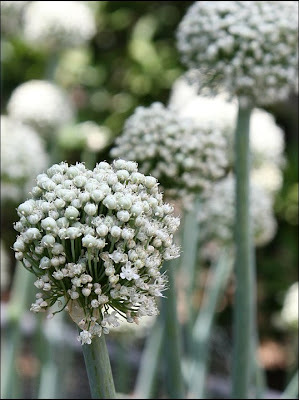 Most folks want to grow onion bulbs NOT onion flowers! 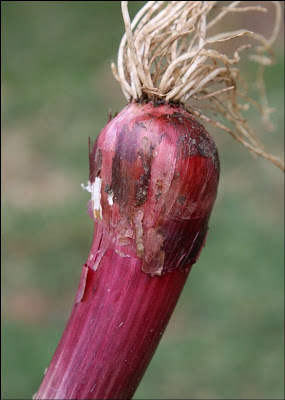 What causes bulb onions to send up flower stalks? Flowering of onions can be caused by several things but usually the most prevalent is temperature fluctuation. An onion is classed as a biennial which means it normally takes 2 years to go from seed to seed. Temperature is the controlling or triggering factor in this process. 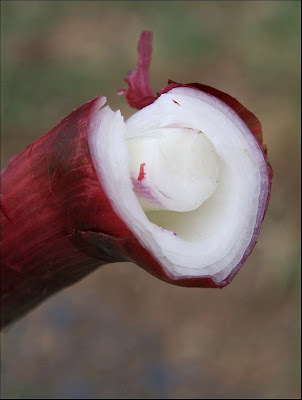 If an onion plant is exposed to alternating cold and warm temperatures resulting in the onion plant going dormant, resuming growth, going dormant and then resuming growth again, the onion bulbs prematurely flower or bolt. The onion is deceived into believing it has completed two growth cycles or years of growth in its biennial life cycle so it finalizes the cycle by blooming. 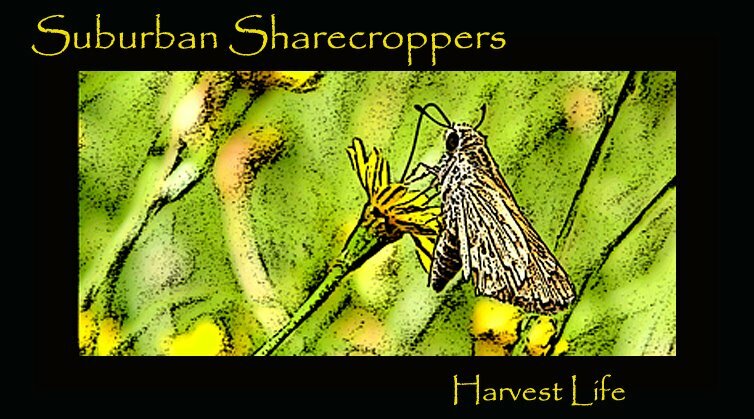 Flowering can be controlled by planting the right variety at the right time. Ultimately, I'm guessing that our unusually warm Feb. was responsible for 'fooling' the onion into repeat dormancy. Now I just need to find the right variety for our area, or plant later so there will be less chance of severe temperature flucuations. I'm in the valley also. So, that's why our onions don't do well. I'll keep watching for one that does. You have a nice garden. I had the same problem with some of my onions after the last heat wave. Actually, it was the batch I planted in February that did that... weird. The Spanish onions I planted in October are still in the ground, not bolting -- I did remember to bend over the leaves in April and that seems to have helped. They're not huge, so I'm going to give them until this cool trend ends, and then pull them up. I just pulled up my garlic, and it looks beautiful!! !